The head of a non-profit group associated with the premier’s Centre Party is stepping down under the shadow of a financial probe. Party politicians have in the past been convicted of graft related to the foundation. The CEO of the Finnish Youth Foundation (Nuorisosäätiö) is resigning as police launch a probe of financial irregularities at the non-profit, which has close ties to the Centre Party. CEO Aki Haaro will leave by next autumn at the latest, the foundation announced in a statement on Tuesday. Haaro’s departure comes amid a police investigation into transfers of hundreds of thousands of euros from an Estonian shell company to firms owned by Haaro and the foundation’s board chair, Perttu Nousiainen. Nousiainen stepped down from his post on Sunday. Yle has learned that Nousiainen received transfers of hundreds of thousands of euros from tax haven firms into his personal accounts. His successor, Mikko Henttonen, said in a statement on Tuesday that the organisation is beginning the process of a recruiting a new CEO now, as it may take months. “We want to continue our work in line with the foundation’s values to ensure that all young people, regardless of their income or background, have an opportunity to live in central locations at a reasonable cost,” he said. Last week Yle and the newsweekly Suomen Kuvalehti reported that police were looking into Youth Foundation directors and flows of money into their own firms. 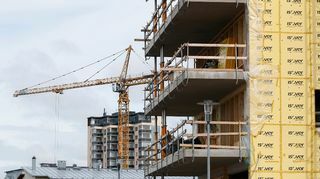 Police took an interest while probing the activities of the Lahti construction firm Salpausselän Rakentajat, a close business partner of the Youth Foundation. Police suspect the building firm’s managers of aggravated tax fraud and other offences. Law enforcement officials are trying to determine whether the funds received by the foundation directors originated with the construction firm. Haaro and Nousiainen, both former activists in the Centre Party’s youth wing, have led the housing organisation for several years. 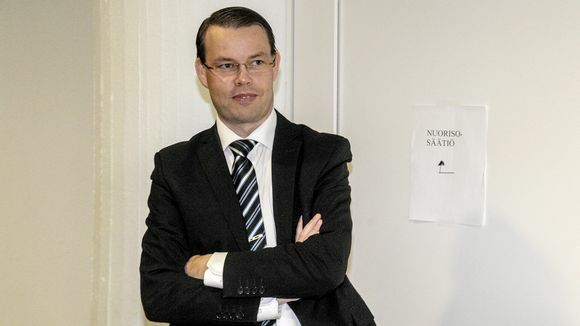 Haaro left his post as the party's administrative manager to take over at the foundation in 2010. In 2013, he was convicted of breach of trust related to Youth Foundation funding for Centre Party politicians. Haaro may also be leaving another foundation leadership post. For about a decade, he has been the director of the much smaller Maaseudun säätiö (literally ‘countryside foundation’). It owns part of the Centre Party’s offices in Helsinki. The foundation’s board chair, Juha Korkeaoja – a former Centre Party agriculture minister – told Yle that Haaro’s position will be discussed at a board meeting on Wednesday. Authorities began looking into the ties between the Youth Foundation and the building firm after Yle began reporting on them in mid-2016. The Housing Finance and Development Centre of Finland (ARA), which oversees the foundation, declared that it had broken the law "in a significant manner ". The Foundation says that it is not the target of a criminal investigation itself, but that the probe is aimed at its directors. The Youth Foundation was established in 1961 by the predecessor of today’s Centre Party youth group. It owns thousands of flats around the country. On Tuesday Prime Minister Juha Sipilä denied any knowledge of developments at the foundation. "Neither I nor the Centre have anything to do with it. I don't know anything about it. Good if the right decisions are being made," he told an Yle reporter at Parliament. A number of Centre Party figures have held top posts at the Foundation, including former prime minister Matti Vanhanen and the party’s current parliamentary leader, Antti Kaikkonen. Five years ago Kaikkonen received a five-month suspended prison sentence for abusing his position at the foundation to arrange campaign funding for fellow Centre Party candidates. Another Centre MP, Jukka Vihriälä, was also convicted of corruption charges related to the foundation.